Who Will Represent? Rep. Roberts Will. 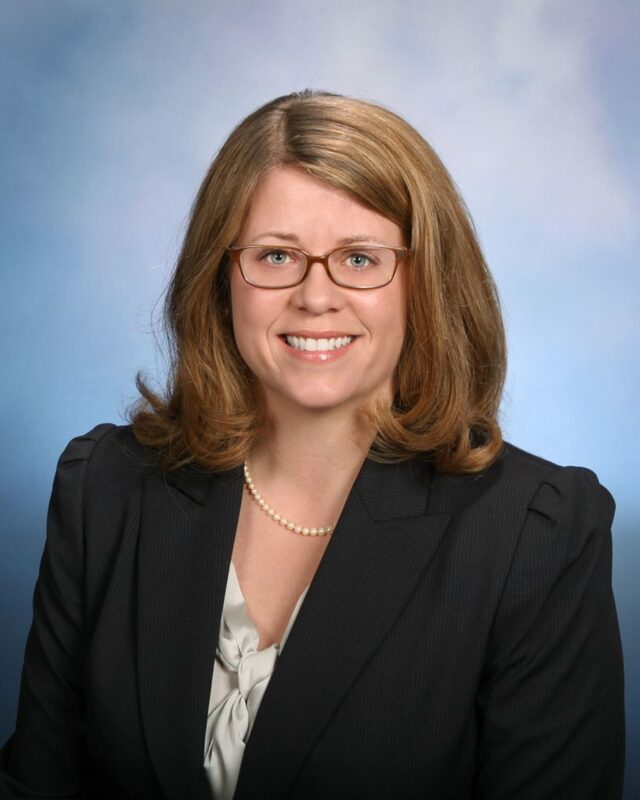 Championing for women in Michigan, Representative Sarah Roberts (D-18) works to represent, fight for, and improve women’s lives. Sarah Roberts is an advocate. Through her work for the Michigan House of Representatives, she serves District 18 and greater Michigan for the betterment of women’s rights, education and health care. In an interview, Helping Women Period personally asked why does Rep. Roberts focus part of her efforts on women and their lives? Knowing her statistics, Roberts stated that roughly half of Michigan’s population is women, yet only about 21 percent of people in the legislature are women. And even less are women of color. Representation in Michigan should show our state as it is: a mix of multiracial men and women that membership in the legislature should reflect. Current representation is not equal, and Sarah Roberts knows that women and their needs must be heard. She is a voice for the voiceless women in Michigan who want change. As an example of this, Representative Roberts continues the fight on a legislative level for women and recognizing their needs. That’s why in Michigan on May 28th, 2016 and in 2015 will hence be known as Menstrual Hygiene Day in history. That’s right. In our state we celebrated women’s bodies and the menstruation inequities in communities and in laws for two years. Though Menstrual Hygiene Day was a holiday of the past, Rep. Roberts says that people can still celebrate menstrual hygiene and the effect Menstrual Hygiene Day had on Michigan. Citizens can donate to organizations that help women and help with feminine hygiene product distribution. Moreover to celebrate menstrual hygiene, people can start the conversation on menstruation to break the cycle that still considers menstruation taboo in media, some schools and even some families. Celebrating menstrual hygiene can help Michigan’s women celebrate their bodies and hopefully ripple out to the rest of the country. Laws today regarding feminine hygiene in Michigan need to be updated because feminine hygiene products are not considered essential items and have a 6% sales tax instated. Just like an iPhone still powering on IOS 5.32 when IOS 9.3.2 is up and running, we need our laws to support women, not tax them for a natural body process. People in poverty cannot necessarily afford feminine hygiene products. They are an extra expense to budgets that are already at the bare minimum. Menstruating women in poverty may have to miss school or work because they do not have the proper products. Rep. Roberts said that one in four children in Michigan lives in poverty, and studies show that when children hear their parents fighting about needs like rent or food, they will not ask for feminine hygiene products as to not “burden” the family budget. This can lead to young women dropping school or jobs because of menstruation, or worse, leaving products like tampons in too long which can lead to Toxic Shock Syndrome. TSS can be fatal to women and should be treated seriously. HB 5234 exempts feminine hygiene products from the sales tax in Michigan. Currently pads and tampons have a 6% sales tax placed on them in Michigan, while actual non-necessities like soda and candy are not taxed. Why, you ask? Women have been asking this question for a long time, and now advocates like Rep. Roberts are fighting to eliminate the sales tax. This bill currently resides at the tax policy committee since January 26, 2016. The bill will go no further. Not without a strong push from the community will this bill become a law. HB 5426 makes feminine hygiene products free in public school restrooms. This is an especially important bill because young girls often feel ashamed and insecure about their periods due to societal negativity about menstruation. Making these products readily available to girls in schools gives them a private and dependable way to provide good feminine hygiene without having to uncomfortably ask a teacher, coach or peer for products. HB 5426 is currently sitting, like a couch potato who never to gets up from a really good TV show, in the government operations committee since March 3, 2016. Just like HB 5234, without community focus from those who want this bill passed, it will forever remain in government operations committee gathering dust. HB 5427 offers feminine hygiene products free and available in women’s restrooms in state owned building. This bill is yet another way to give women the dignity of having feminine hygiene products available not as luxury items that the government insists they are, but necessities to women. This bill, just like HB 5426, is also sitting in the government operations committee since March 3, 2016. So now that you’ve read those three synopses for the bills, you as the reader have to be wondering: How can I make these a reality? What can I do to help? Wellllll, you are in luck readers! The secret ingredient to getting these bills a hearing by their respective committees, as explained by Representative Sarah Roberts herself (Yes, I am name dropping for effect), is to reach out to these committees. Simple. Words can and do speak volumes to our lawmakers, so start typing and calling. By sending the chair of the tax policy and the government operations committees a message with your personal stories, your conviction on why these three bills should be laws, or even just calling out the audacity that these laws are being swept under the rug, you can make a difference and get a hearing for these bills. Look below for the contact information for the chair of tax policy committee, Jeff Farrington and the chair of government operations, Bradford Jacobsen. Even at the federal level, Rep. Roberts has introduced two resolutions to Congress to make feminine hygiene products allowable under house savings accounts and flexible spending accounts. For women in poverty, every little bit of saved money helps them and their families. It is important to recognize the needs of women not just in our great state of Michigan, but also at the national level. In the office, Rep. Sarah Roberts fights daily for women in Michigan. She believes in empowerment. The very core of that word defines an increase in determination. In this case Sarah Roberts uses empowerment for women, children and future generations of both to make sure each and every woman in Michigan receives the dignity of having feminine hygiene products available for her use. Want more of Sarah Roberts? You’re in luck! The Avenue Fundraiser, a Noon – 2:00 a.m. festival with women-fronted bands, a comedy show and silent auction on September 24, 2016 will be giving all proceeds to Helping Women Period. And Megan Blue, Legislative Aide to Rep. Sarah Roberts, will make an appearance as the guest speaker. Come out and applaud their efforts , support Helping Women Period, and in general celebrate helping women. Period. To learn more about representative Sarah Roberts, visit her webpage here! As always, check out HWP’s website to find updates on future events, ways to help, and contact information! Introducing summer intern Elena Essa.